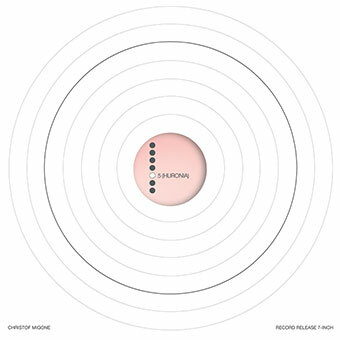 Fifth part in the series of seven 7“ record-objects by Christof Migone. Limited edition of 77 copies. Publication includes a 7-inch embossed front cover with die-cut hole back cover + grooveless opaque white vinyl record partially dipped into green water-based gloss screen ink + two 7″x7″ full colour inserts + AIFF and MP3 (320 kbps) versions of 2 tracks with a total time of 20:37. A collaboration with Marla Hlady. Part of the “Recounting Huronia: A Participatory Arts-based Research” project. Recordings made in fall 2014 at the Huronia Regional Centre in Orillia, Ontario, Canada. Mixed and edited summer 2016.